I want to take a moment to say a big thank you to everyone. 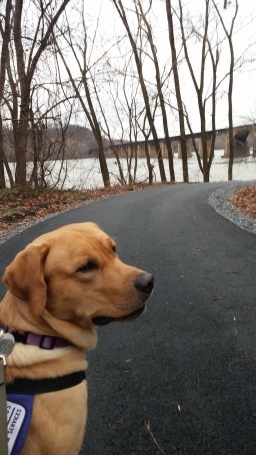 It is with a cheerful heart that I reflect on Susquehanna Service Dogs as 2015 comes to an end. The reason for that involves each and every one of you. As I contemplate, it is very clear that we, collectively, are SSD. Each person that volunteers their time in any capacity, each person partnered with an SSD dog, each employee, and each person that provides a monetary or in-kind donation of any amount make this program what it is. There is not one component more important than the other. I hope that no matter what part you play, you understand the significance of your role in the success of the program. I look forward to the upcoming year and find great comfort knowing I will be surrounded by such remarkable people. I wish each and every one of you a very happy holiday season and a wonderful 2016! Guest blog post by Gwen Wenger. Gwen, her husband Keith, and her daughter Emma have been volunteering with SSD in many ways for several years. Emma is partnered with SSD Kindle. 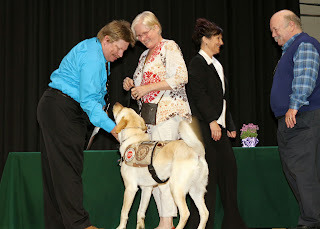 SSD Kindle is not only an amazing service dog and partner, but she has now entered the world of theater! Emma is in 7th grade at Cedar Crest Middle School in Lebanon. 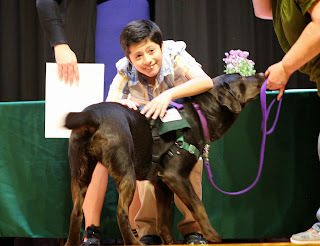 She’s in the IU13 Multiple Disabilities Classroom with five other students. Emma and SSD Kindle have been a team for two years now, and Kindle goes to school every day with Emma to assist her in many ways and help connect her to her peers. 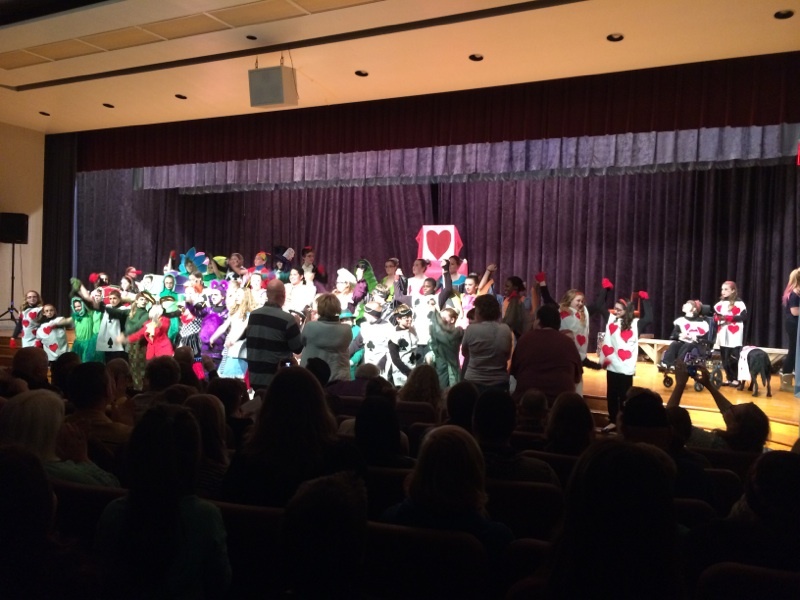 Cedar Crest Middle School chose Alice in Wonderland for their fall play. Emma and another classmate were given the opportunity to participate. 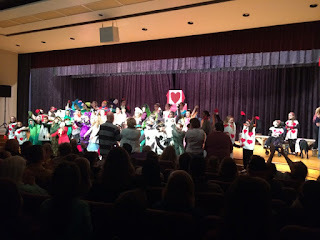 They would be “heart children.” They were heart cards and part of a group of about 15 students who were playing the Queen of Hearts’ children. It was only at the final rehearsal that the decision was made to include Kindle onstage! The director made this last minute decision when she saw how amazingly well-behaved Kindle is. She was initially concerned that Kindle might be a distraction for the other students onstage. But it only took one time on stage to see that Kindle was a natural and complemented the cast perfectly! A first in stage history, I’m sure! Kindle was given her own heart card costume and a red sparkly collar so she fit right in. two students also playing heart children were in charge of pushing the girls onto the stage for 3 scenes, including the finale. Every time Emma was pushed onstage, Kindle followed without hesitation and promptly “visited” on Emma’s lap or feet as the scene unfolded before her. There is no question that the audience thoroughly enjoyed Kindle’s presence onstage. As proud as Emma’s dad and I were of our girls and their first stage debut, the best part for us was what was happening behind the scenes. The cast and stage crew was made up of 6th, 7th, and 8th graders, many of whom didn’t know Emma and Kindle before the play. As I spent time backstage with them, I had the opportunity to watch Emma’s peers interact with her in an amazing way. Emma was thoroughly enjoying the entire experience from make-up to the cast party! I had lots of chances to demonstrate what Kindle can do and how she assists Emma. There was one point when I started showing a small group of 6 or 7 students all of Kindle’s cues. When we turned around, there was a huge group of 25 or so kids watching. They particularly enjoyed when Kindle got to have a break, have her harness removed, and run around and play with them. By the end of practice, almost every student said goodbye to Emma and Kindle and told her how happy they were that she was part of the play. 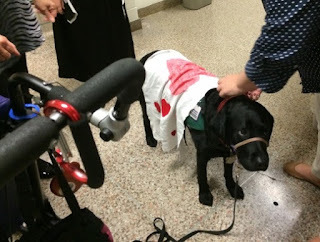 Not only was it a way for the students to get to know Emma, but it was a great opportunity to educate them about service dogs and their capabilities. Now when Emma goes down the hall with Kindle, there isn’t one student that doesn’t know who they are and remember them from the play. We are so proud of both of them and are already looking forward to the spring musical! Thanks again, SSD, for yet another opportunity to impact our daughter’s life in such a profound way! Garfunkel enjoys a beautiful day at the kennel. 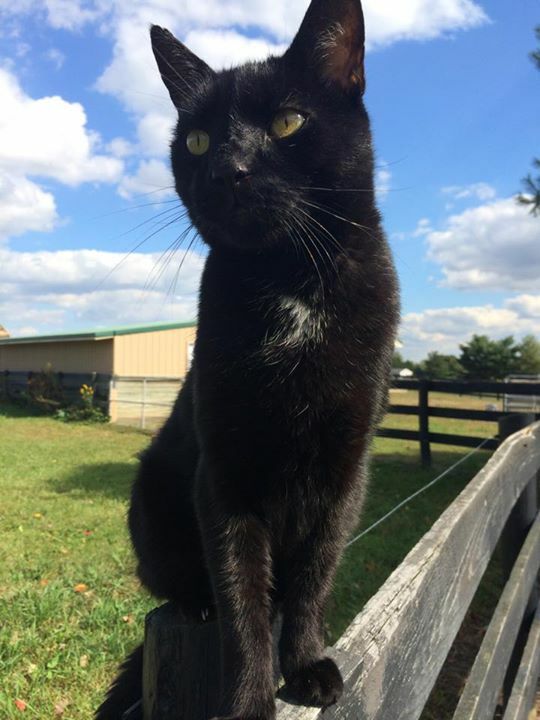 Happy National Cat Day! Yes, you read that right. Today, we’re celebrating cats! Specifically, we would like to celebrate two cats—Garfunkel and Vader. These two black cats live at the kennel and help us train our service dogs. We make sure that all of our service dogs are okay around cats. While the dogs are in training, we never know who they’re going to be partnered with. We don’t know if that person will have cats or if they have friends or family who have cats. Plus, it’s always possible to come into contact with cats outside, and the dogs need to be able to ignore them and stay focused on their partner. Every dog in our program meets Garfunkel and Vader at some point. In fact, it’s common for one or both of them to greet you when you arrive at the kennel. (They’ve also been known to stow away in people’s cars if they leave the windows open!) Many of our puppies in training see the cats when they arrive for puppy classes or when they have playdates in our fields. We have also recruited Garfunkel and Vader to help the dogs practice recalls. In puppy class, we play our version of golf. The puppy raiser puts their dog in a down-stay or sit in one marked square, then walks 10 meters away to a second box. The raiser then calls their dog to come. Sounds pretty simple, but then we add some distractions, like kibble, tennis balls, or one of the cats. Garfunkel or Vader will be in a crate between the dog and their puppy raiser, and the dog must trot right over to their raiser without stopping to investigate the cat. We also deliberately introduce the dogs to the cats during their one year evaluation to see how they do. 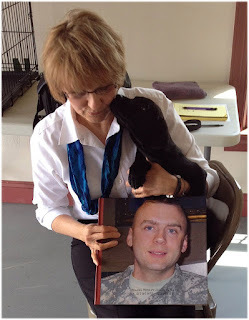 So our cats play a big role in our dogs’ training to help them become successful service dogs. And that’s why we’re celebrating cats today! On October 21, 2015, four people and their service dogs completed team training and became new service dog teams. We’re so excited for them and we’re looking forward to hearing about how their service dogs have changed their lives. Congratulations to our new teams! Team training is the culmination of several years of training and countless hours by our volunteers and staff. Those tiny puppies that you watched snuggle and play on the puppy cam have grown into dedicated working dogs. The four dogs who are now working with their partners—Bohemia, Harlem, Tadpole, and Tazo—spent their first year and a half with volunteer puppy raisers, who taught them a series of behaviors, including sit, stay, down, heel, loose leash walking, and self control. These dogs went everywhere with their raisers, gaining valuable experiences to prepare them to go everywhere with their partners. When the dogs were about 18 months old, they entered advanced training, where our trainers began teaching them the behaviors they would need to know to assist their partners. Each dog was individually trained based on their partner’s unique needs. For trainers Katie Grube and Lauren Holtz, this was the first team training with dogs they had trained. We’re confident that Bohemia, Harlem, Tadpole, Tazo, and their partners will do well together! Today, new dogs are starting advanced training and the next step on their journey to becoming working service dogs. “I’m excited to train the new group of dogs coming in and improve my training based on what I learned from this team training,” said Katie. 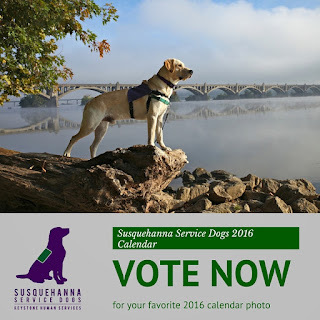 When you open your 2016 Susquehanna Service Dogs calendar, which dogs will you see? Will it be a wrinkly-faced little future service dog? Will it be a working service dog team? 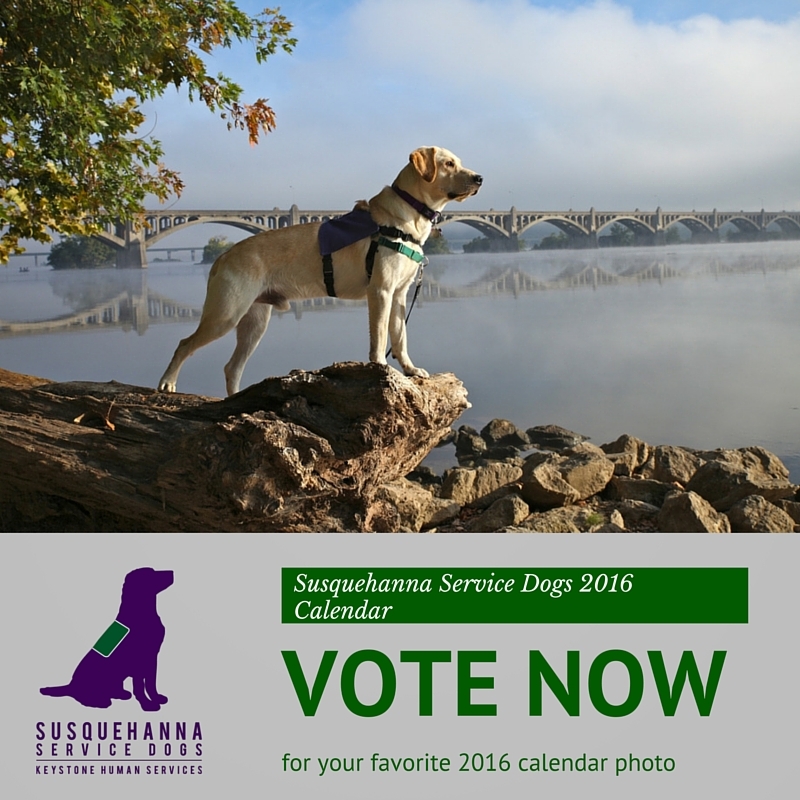 You get to help us decide which photos will be featured in our 2016 calendar! From now until 11:59 p.m. on September 6, you can vote for your favorite photo on our Facebook Page. Please note that voting is different than last year. You can only vote ONCE in the entire contest, so make sure you pick your absolute favorite photo! The photo with the most votes for each month will be featured in the contest. But remember, you can only vote once in the entire contest. We’ll announce the winning photos on our Facebook Page at the end of the contest. The 2016 calendars will be on sale in mid-October. I’ve been with Susquehanna Service Dogs for about two years now and it still feels like just yesterday I got my first puppy. I got involved with SSD by the Yursha family. When they got their first dog (Parks), I thought it was the coolest thing ever and had to do it myself. I asked my parents if I could raise a puppy and always got the answer “no.” After two years of asking about every other week, I finally got the answer I wanted— “yes, but we are only doing one.” Of course, I was super ecstatic and got on the website right away and filled out the application to raise a puppy. A few months went by and I got the email saying we have a puppy for you, and I remember bursting into tears, I was so excited. On June 24, 2013, I got by first dog Blitz, a tiny, fluffy, wild eight-week-old puppy. Training started that night with her the second I got her home. I was already out in public and practicing things with her and having everyone oh and ah over her. Training continued and it was stressful at some points and other points I was so happy seeing how she progressed. Unfortunately, Blitz did not make the program. But she is living happily in my house. Remember the part when I said my parents told me only one dog? Well, I ended up getting another puppy, SSD Blush. I remember going to puppy hug her litter and playing with all the puppies, except Blush. Blush was that puppy who slept in the corner the whole time and didn’t make herself known, unlike her siblings. We got the call Thursday night saying Blitz was being discharged, but they had another puppy for us. Of course, I said yes right away. My parents were another story. Blush is still in the program and still in training, and will be going to advanced training soon! Now SSD Jubilee, my newest puppy, is a seven-month-old black lab and the sweetest thing ever. We told the staff that we would love to raise another one but under one condition. This puppy has to be black or chocolate and cannot have a name that starts with a B, since Blitz and Blush are yellow and we can’t tell them apart. 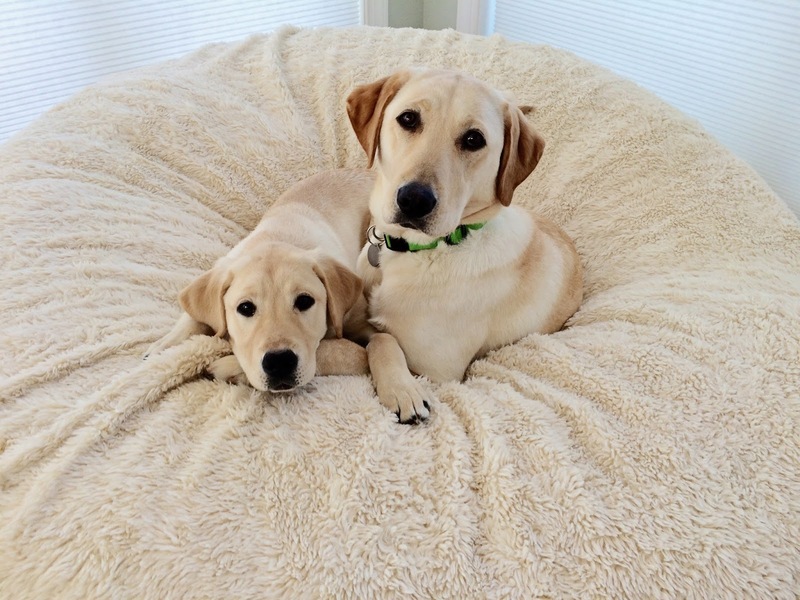 Could you imagine three yellow labs?! Another reason why we wanted to raise another puppy was because this past year we had to put our two house dogs down, and with that happening and Blush getting ready to go to advanced training we didn’t want Blitz to be alone and get bored. So far Jubilee is doing amazing with her training and I am so proud of everything she is doing and how fast she is learning things! A couple weeks ago I was able to help out at team training. That was the best experience I was able to be a part of. Seeing the dogs working and bonding with their partners was so rewarding, and knowing that one day one of my dogs will be doing that is so rewarding. Waking up several times a night with an eight-week-old puppy, all the frustration, the tears, and all the proud moments is so worth the end result of seeing that eight-week-old puppy grown up and helping someone else. We became involved with Susquehanna Service Dogs as puppy sitters in the spring of 2014. Our initial motivation was somewhat selfish in that we wanted the joy of having a dog in our lives again but did not want to go through the initial puppy break-in period. With both of us working full time and all three children gone from the nest, we did not want to subject a small puppy to being crated up all day. 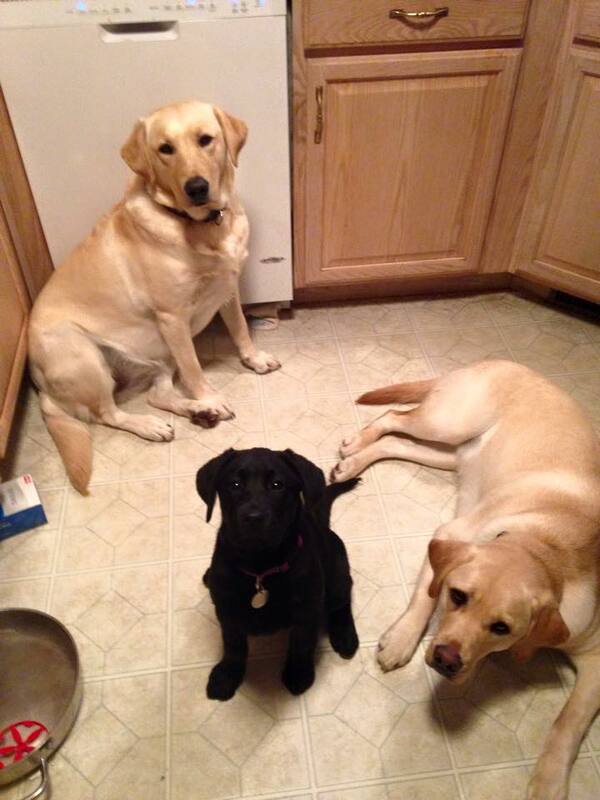 Our last 3 dogs were Labrador Retrievers (Alex – yellow, Klondike – chocolate, and Angus – black). The only one still surviving, Angus, moved out with our daughter. We do sit Angus occasionally and he has learned that he needs to share with an SSD dog every now and then. At 12 years old, Angus has slowed considerably but the young SSD pups bring out the puppy left in him. While our motives started out somewhat selfish, it did not take long to recognize that there is much more to this experience than having a dog in the house again. The first dog we sat was SSD London. London, a black male, is now an active service dog. Our first outing as puppy sitters was a trip to the Giant Food Stores. As we entered the store, we noticed strange looks from one of the other shoppers. Nothing was said. About half way through the store we passed the same person, and again we got a strange look but no comment. As we continued up and down the aisles, London was perfect, paying attention to his handler and ignoring all the other people and distractions. Finally in the last aisle, we saw the same shopper, this time with a more puzzled look on her face. Finally, she stopped us and said, “I have a Labrador retriever at home. There is no way I could get him to behave that way.” At that moment, we were not only very proud of London but also of our involvement with SSD. A few months later we had the privilege of attending a breakfast with several of the dogs we sat and their new partners. London, Kingston, and Outback were all there and we got to meet their partners. It was amazing how the dogs focused on their partners and how well behaved they were at the restaurant. With each new dog we like to imagine what their ‘jobs’ will be. While sitting SSD Newman (now a working dog) we noticed that he took a liking to shoes. If a shoe was left unattended, he would pick it up and proudly show it to us. During Team Training the dogs and their partners learned how to work together and the partners were tasked with teaching their dogs a skill. While watching a video of Newman and his partner, there was Newman taking off his partner’s shoe and handing it to her! 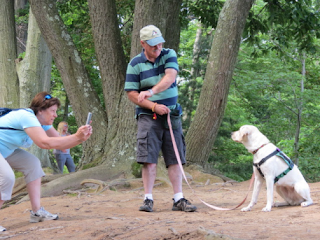 We enjoy taking the dogs out in public with us to practice their skills in different places. Taking pictures of them helps us remember who we took where. Our computer is filling up with picture folders for each of the dogs we’ve sat. (We’re currently on number 18). Our friends are amused by some of the antics we go through to get a good picture and have taken pictures of us taking pictures. Taking the dogs in public also gives us the opportunity to share SSD’s mission. We’ve been in many conversations with complete strangers about what these dogs can do for people. 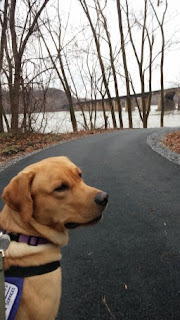 One of our favorite places to go is the Susquehanna River Trail that runs from Columbia to Bainbridge. We often encounter bicyclists, other walkers, dogs, and children. There are also many other natural distractions that provide teachable moments in “leave it” and loose leash walking. 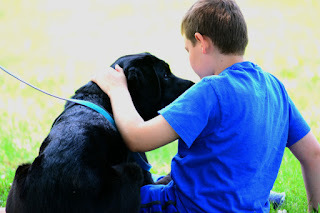 Children are usually the first to notice and comment on the dog, often saying that they would like to pet the dog. We have been surprised that most parents tell their children that the SSD vest means that they are working dogs and they should not be disturbed. On those occasions the parents do not intervene we take the opportunity to explain about service dogs. There are also great places along the trail to take pictures. Another place we like to take the dogs is to our camper in Maryland. Not only are there opportunities for teachable moments but also time for some fun and relaxation. There are many other people, dogs, as well as squirrels to attract a pup’s attention. The pups often get their meals from the treat pouch on a good day at the bay. Another challenge is walking on floating docks and getting onto a boat. Some are a little cautious at first but by the second or third trip they have gained their “sea legs” and traverse the docks like they were on land. 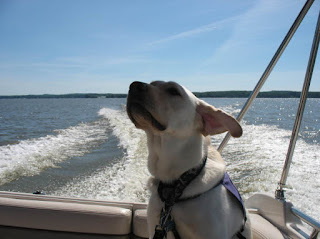 Most seem to enjoy riding in the boat, feeling the breeze and sniffing the air. Probably none more so than SSD Newman. The adaptability of the dogs never ceases to amaze us. Often, within an hour or two, it feels like the dog has always been with us. On the first workday, when Randy gets up at 4:30 am to get ready for work, they all bounce up and are ready to be fed. To their disappointment they hear “Go back to bed. It’s not time to eat.” By the third day, they do not even bother getting up. The ones that normally sleep in bed with their raisers are also disappointed when they are told to go to bed on the dog bed in our room and not in bed with us. Initially, some will assume their rightful spot is in the bed with us and others will ask, but by the third night they all figure out where they are expected to sleep. Look how happy (and sleepy) SSD Elwood is! We Have Gone to the Dogs! When our youngest child went off to college, my husband and I decided our nest was too calm and quiet for our taste. Enter SSD Aunt Laura. We attended several training classes and passed a home inspection, crossing our fingers hoping we would soon receive a call to raise a puppy. As luck would have it, our wait was short lived. On May 24, 2014, we were handed an exuberant yellow lab from the recent Aunts and Uncles litter to raise, socialize, train, and love for Susquehanna Service Dogs. Unlike our children, Aunt Laura came with a manual of instructions, which adorned a small nook in our kitchen. This manual was read and reread as we learned the new language of dog training. Necessary commands were practiced daily and for the first eight weeks, we attended weekly training classes, after which, classes were held every two weeks. Aunt Laura proved to be a wonderful student, eager to please and quickly mastering the mandatory list of basic skills. Raising and training a service dog requires a fair amount of work and perseverance. We soon realized that raising this puppy was also a lot of fun. After all, you take the dog everywhere you go—grocery stores, restaurants, sporting events etc. The goal is to expose the young dog to any and every place a person needs or wants to go, from riding an elevator, to navigating stairs or even passing food on the ground. These experiences are vital to their success and each accomplishment is one step closer to making a difference in the life of an adult or child with a disability. Maybe it was a moment of weakness or the fact that we were enjoying channeling our parental energies into raising a service dog that when we received a call this past February asking us to take another puppy, we accepted. Two days later, we welcomed SSD Elsa into our home. Elsa was tiny with a very large personality. Her name alone was a crowd pleaser with children and she eagerly accepted the adoration. Elsa embraced life and her new surroundings enthusiastically and gratefully accepted SSD Aunt Laura as her mentor. She too has proved to enjoy her training sessions and is quickly mastering the cues we teach her. With two service dogs, our appearance in public places that are otherwise off limits to dogs arouses people’s interest. In some cases, it has inspired others to inquire about the dogs and become raisers as well. However, most people simply question us as to how we will be able to give the dog up when the training is finished. I admit, we have not crossed that threshold yet and I am sure it will be difficult. I am also sure it will be worth it to the recipients of the dogs I raise. 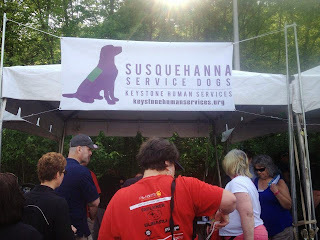 In the meantime, we have found new connections and we are part of an extraordinary community of individuals with the same purpose—help support the mission of Susquehanna Service Dogs. 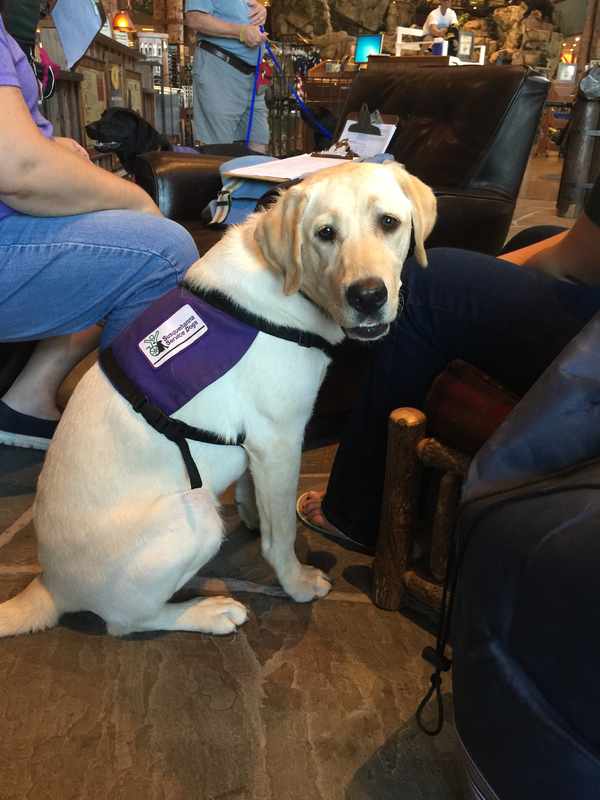 We talk about our puppy raisers a lot, but they aren’t the only ones who play an important role in shaping a young puppy into a successful service dog. Our puppy sitters also help prepare the dogs for life as working service dogs. Puppy sitters are volunteers who take care of our dogs in training when their puppy raisers are unable to do so. A dog may go to a sitter while his raiser is on vacation or has a family emergency. Sometimes, our dogs go to sitters just so they can gain exposure to new routines and experiences. Once our dogs become working service dogs, they will go home with their partner and have to adjust to a whole new daily routine. If you’ve ever had to change up your own routine, you know that it can be a little stressful at first, and it’s the same for dogs. However, we train our dogs to adapt to new situations, and spending time at a sitter’s home, where they’ll have a brand new routine, helps the dogs transition to their lives with their new partners. The dogs’ training doesn’t stop when they go to a sitter’s home. Yesterday, we held one of our puppy sitter classes, where our sitters can learn how to work with the dogs in public. 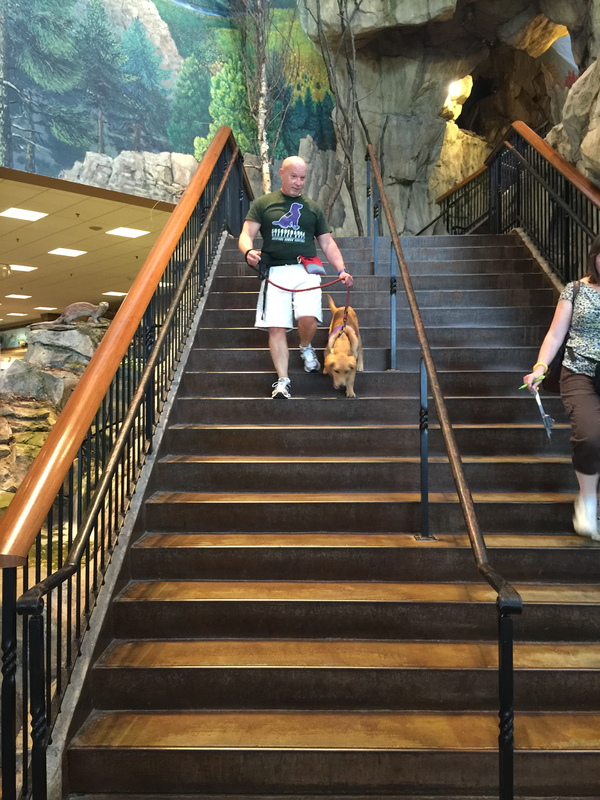 Nine sitters joined us at Bass Pro Shops in Harrisburg, PA, and each one was matched with a dog and a puppy raiser. Together, they traversed Bass Pro and the Harrisburg Mall. Since we only had one hour, we focused on six tasks and behaviors: loose leash walking, getting in and out of the car, pottying, greetings, leave it, and entering and exiting the elevator. All of our sitters did a wonderful job working with their dog! Loose leash walking is perhaps one of the most important and most difficult behaviors to teach the dogs. The dog must walk on the left side of the handler with the leash in a loose “J” shape. The handler clicks and treats the dog for attention and for being in the correct position beside them. The dog is never allowed to pull. If they pull, the handler walks backward to give the dog “penalty yards” until the dog is in the correct position again. Then they walk forward again, clicking and treating for a loose leash. Sometimes it can be very frustrating to work on loose leash walking, especially if the dog is excited about being with a new person or in a new place. But it’s so important to always reinforce the loose leash and never let the dog pull. Once the dog is placed with their partner, pulling on the leash could potentially injure their partner. The dog must have the self-control to walk calmly next to their partner. Like loose leash walking, getting in and out of the car is an exercise in self-control for the dogs. The dog must enter the car on the cue “car” and wait to exit until given the “okay.” Why is this important? The safety of the dog may depend on having the self-control to wait for the “okay” to exit the car. The dogs will be going almost everywhere with their partners, which means they’ll be getting in and out of the car a lot. So, for example, if they’re getting out of the car at the grocery store, the dog must be able to wait for their partner to make sure it’s safe for them to get out of the car in parking lot. All of our dogs potty on the cue “get busy.” (We don’t recommend saying this cue inside, even if you’re not saying it as a cue for the dog. Some of our dogs are very good at responding to these words!) Before they enter any building or public space, our dogs must be given a chance to potty, even if you know they’ve just gone half an hour ago. The Americans with Disabilities Act (ADA) requires that all working service dogs be house trained, and service dogs can be legally asked to leave if they are not house trained. It just makes good sense to give the dog a chance to take care of business before entering a public space. Service dogs must also be under control while out in public. However, this can be very challenging for puppies in training, especially when people want to pet the puppy. During greetings, the dog must have all four paws on the floor, and their attention should be on their handler. It may help to put the dog in a “sit” or a “down.” Feeding the dog treats (no clicks) while someone is petting the dog will also keep the dog focused on their handler instead of the person petting them. In these situations, the handler can say no to people who want to interact with the puppy. If they just need to take care of errands and leave or if they don’t think the puppy can handle the greeting successfully, it’s perfectly fine to tell people they cannot pet the dog. Our dogs should be able to ignore food or other items on the floor. Even if a treat meant for the dog falls on the floor, the dog is not allowed to eat it off the floor. They get a new treat (or two) from the treat pouch. Why is it important for the dogs to ignore food or other items on the floor? For one, if the dog is chasing down food on the floor, it means they’re not paying attention to their handler, which means the dog isn’t doing their job. Two, the dog may pull to get to the food, which could potentially harm their partner. Also, what the dog thinks is food might actually be harmful to the dog. For example, if a person’s medication fell on the floor, the dog must have the self-control to “leave it” until those meds can be picked up. So the cue “leave it” means the dog must ignore the object and never gets to go over and eat it. “Leave it” can also be used to tell the dog to ignore people or other animals. Many of our dogs will be riding in elevators with their handlers, so it’s important for the dog and handler to be able to enter and exit the elevator safely. You don’t want the doors to close with the dog on one side and the handler on the other! The dog must wait while the handler blocks the door with their body. Then the handler tells the dog to “go on through,” which cues the dog to enter (or exit) the elevator, turn around, and look at their handler. Thank you to all of the sitters who joined us for class, and thank you to the puppy raisers who shared their knowledge with our sitters! 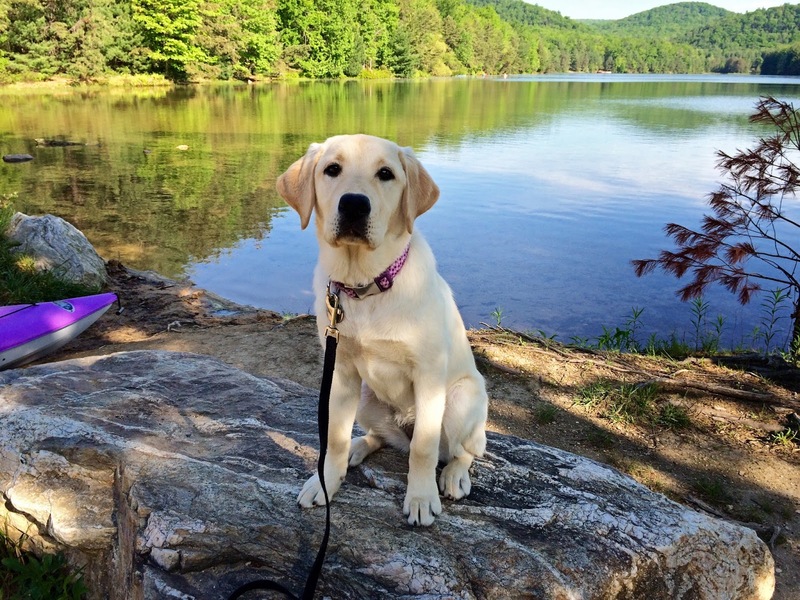 If you’d like to sign up to become a puppy sitter for Susquehanna Service Dogs, just visit our website and fill out an application. “Loyalty. Service. Commitment.” These are the words stamped on SSD Major Wes’s new dog tags. SSD Major Wes (“Wes”) is named after Major Wesley J. Hinkley, who died on April 4, 2011 while serving in the U.S. Army in Baghdad, Iraq. He was a faithful husband, father, son, brother, soldier, and friend. 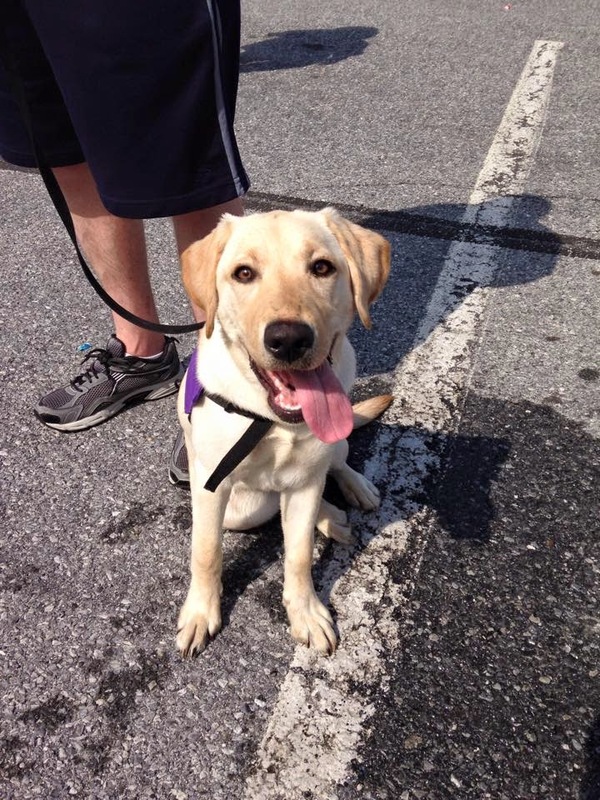 Yesterday at Fort Indiantown Gap, we joined a group of friends, family, and fellow soldiers to recognize and celebrate Major Hinkley’s life and the future of the service dog puppy who now bears his name. After losing her son, Karen Mojecki wanted some way to honor him. “Wes was the kind of person who, when he made a friend, he made a friend for life. He was always there. And he was always there for his men,” said Karen. A soldier takes care of others, and because of that, Karen decided that naming a service dog after her son would be perfect. With the help of others who knew Major Hinkley, she raised money to name a puppy. Then on Memorial Day weekend, a little black ball of fur arrived from Canine Partners for Life. It was immediately clear that SSD Major Wes had a calm, steady temperament, as if he knew what he was supposed to do and would do it. SSD Major Wes is now ten weeks old and is being raised in our Northeast Puppy Raising Program. He will stay with his puppy raiser until he’s 18 months old, learning the basic skills he will need as a working service dog. When SSD Major Wes completes his formal training, he could assist someone who uses a wheelchair, he could respond to someone having a seizure, he could alert to sounds for someone who is hearing impaired, or he could assist a child or adult with autism. He may even assist a veteran. 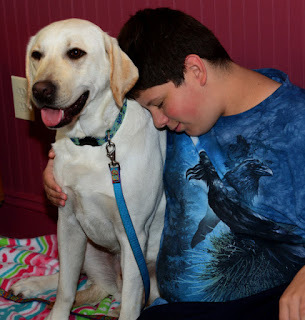 “We have worked with many veterans,” said Pam, “and they have told us that their life after getting their service dog is totally different.” The service dog makes a huge impact on their life. 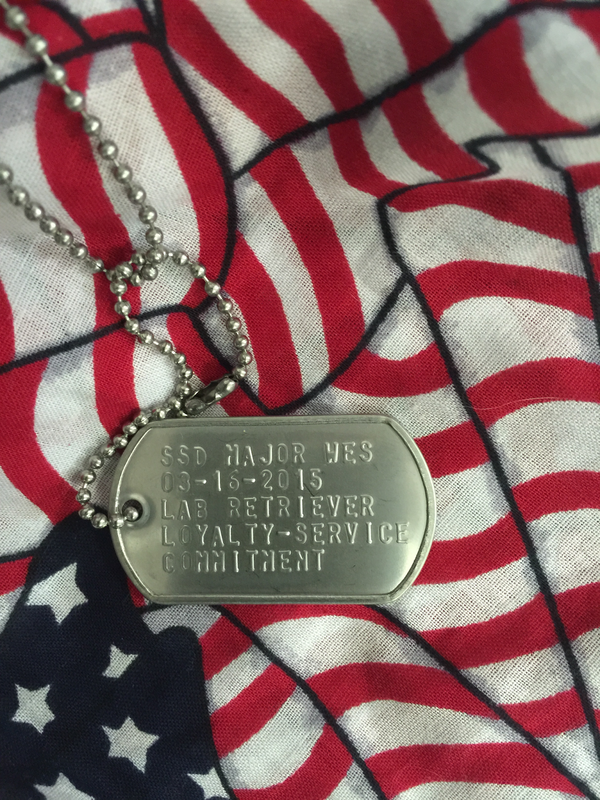 Now, SSD Major Wes is a living legacy to Major Hinkley’s loyalty, service, and commitment. One day, SSD Major Wes may help someone else reach their dreams. 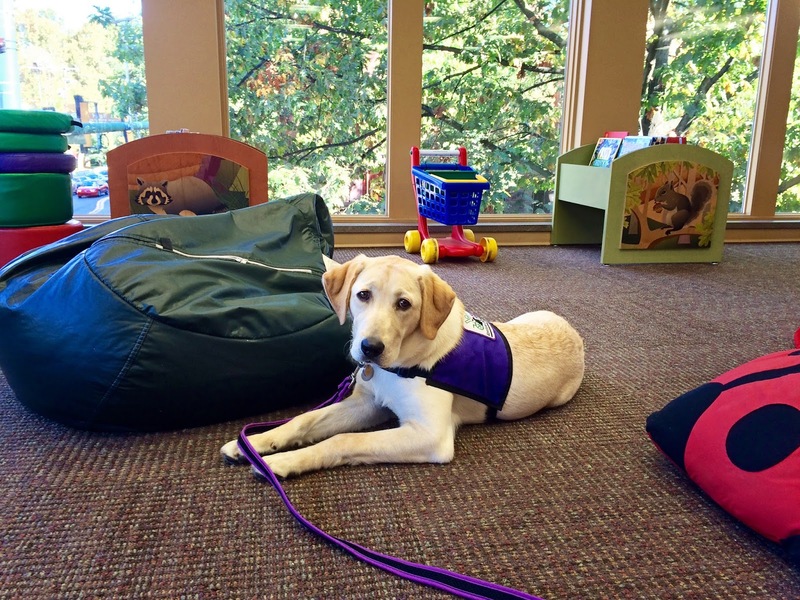 Service Dog, Emotional Support Dog, Therapy Dog: What’s the Difference? There is often a lot of confusion about the difference between a service dog, an emotional support dog, and a therapy dog. What are the differences? A service dog is individually trained to perform tasks that are directly related to their human partner’s disability. Service dogs (and miniature horses) are the only ones covered by the Americans with Disabilities Act (ADA). By law, service dogs must be allowed to accompany their partner into any establishment open to the public. 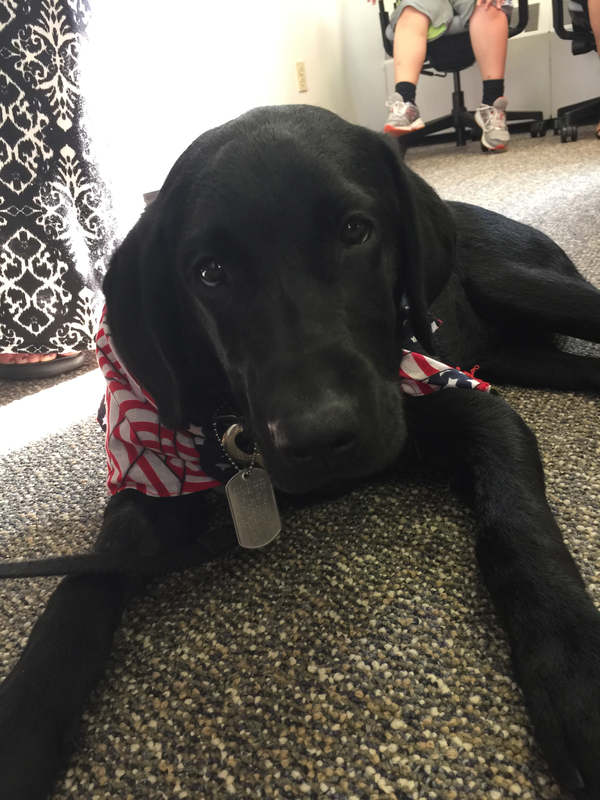 In addition to the ADA, service dogs are also covered under the Fair Housing Act and the Air Carrier Access Act. 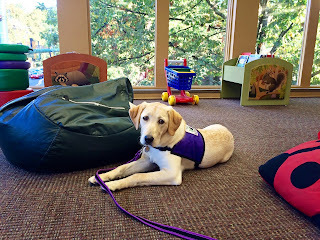 On Tuesday, we posted a detailed discussion about the ADAand service dogs. Please check it out for more information about service dogs and the law. Emotional support animals are comfort animals. They are not service dogs. Unlike service dogs that must be trained in specific tasks, emotional support animals do not need any special training. Their mere existence provides comfort and emotional support for someone with a disability. People who have emotional support animals do not have public access and are not covered by the ADA. Their animals cannot accompany them to public places such as restaurants, movie theaters, etc., unless those establishments allow pets. However, emotional support animals can go some places where other pet animals cannot. Both the Fair Housing Act and the Air Carrier Access Act include emotional support animals. Documentation from a doctor or mental health professional may be required to prove the animal is necessary. A therapy dog is a well-trained pet that provides comfort to others. They visit schools, hospitals, nursing homes, libraries, and other places with their owners. However, even though they go to some public places that don’t usually allow dogs, therapy dogs and their owners do not have public access and are not covered under the ADA. They must be invited to these establishments. Therapy dogs are not trained in specific tasks, although they usually need to meet certain behavior requirements, such as basic obedience and tolerance for sudden noises, medical or assistance equipment, and being handled by strangers, among other things. Therapy Dogs International has lots of information about therapy dogs and certification. 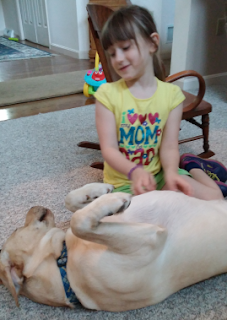 ADA: What Is a Service Dog? For the past two days, we have been really focusing on the Americans with Disabilities Act (ADA) and the rights of people who use service dogs. Kristin Hartness, the executive director of Canines for Disabled Kids, has been visiting us and sharing her expertise to help us learn more effective ways to work with schools, children with service dogs, and their families. During our discussions with Kristin, one point that kept cropping up is the need to clearly differentiate a service dog from an emotional support dog. One can accompany their human partner anywhere the public is allowed to go. The other cannot. 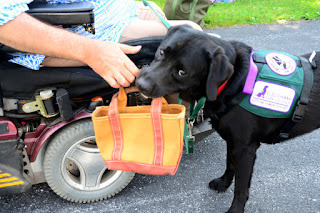 In this blog post, we’ll talk about what a service dog is. So what is a service animal? There has been a lot of media about fake service dogs and businesses denying access to people with service dogs. Let’s take a look at what the ADA says about service animals. The tasks that the dog performs must be directly related to the person’s disability. For example, a service dog could provide deep pressure to calm someone with post traumatic stress disorder (PTSD) or retrieve items for someone in a wheelchair or with mobility issues. Both of these examples are tasks that are directly related to a person’s disability. However, retrieving items for someone with full mobility would not be considered a task under the ADA because it doesn’t directly relate to that person’s disability. Note that the definition of service animals just says “dogs.” It doesn’t specify breed. Although we use Labrador retrievers and some golden retrievers in our program, other breeds can certainly be trained to be service dogs. Service dogs must always be under the control of their partner. 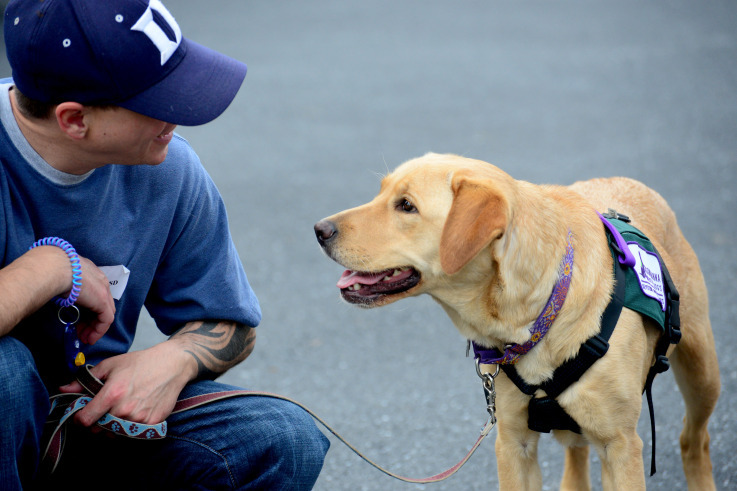 Typically, service dogs are connected to their partner with a leash, although some dogs may be tethered to their partner. On the rare occasions when the dog must work off leash, the dog must still be controlled through voice or hand signals. 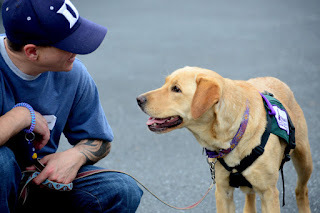 A person with a service dog has public access, which means the dog can accompany that person anywhere where the public is normally allowed to go. So can they go into restaurants, even though health codes exclude animals from the premises? Absolutely. Can service dogs go into grocery stores? Yes, they can. Movie theaters? Of course. An examination room at the hospital? Definitely. The important thing, though, is that when service dogs are in these public places, they are working. So if they accompany their partner to a beach that normally doesn’t allow dogs, they must be working, just as if they were accompanying their partner to the bank or grocery store. There are a few places where service dogs are not allowed to go without an invitation. For example, service dogs could be excluded from hospital operating rooms, churches, and some government buildings. 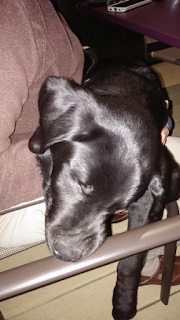 Now, some of our service dogs in training do accompany their puppy raisers to church, but the raisers needed to get permission from that church first. Can businesses ask questions about a service dog? Not all public places understand the ADA as it pertains to service dogs, and people with service dogs are often questioned when they enter. What work or task was the dog trained to do? They can’t ask questions about the person’s disability, nor can they ask for a demonstration of the task. They also can’t require someone to produce documentation to certify that the dog is a service animal. Can a service dog be asked to leave? A person with a service dog must be allowed access, but the person can be asked to remove their service dog if the dog is out of control and the person doesn’t do anything to control their dog and/or if the dog is not housebroken. For example, if a person is in a restaurant with their service dog and the dog continuously barks or growls, the person can be asked to remove their dog. Of course, the person must be allowed back in without their service dog. Allergies and fear of dogs are not valid reasons to exclude a person with a service dog. In a restaurant, for example, a service dog team cannot be seated way in the back, far away from the other diners, because one of the patrons has a fear of dogs or is allergic. 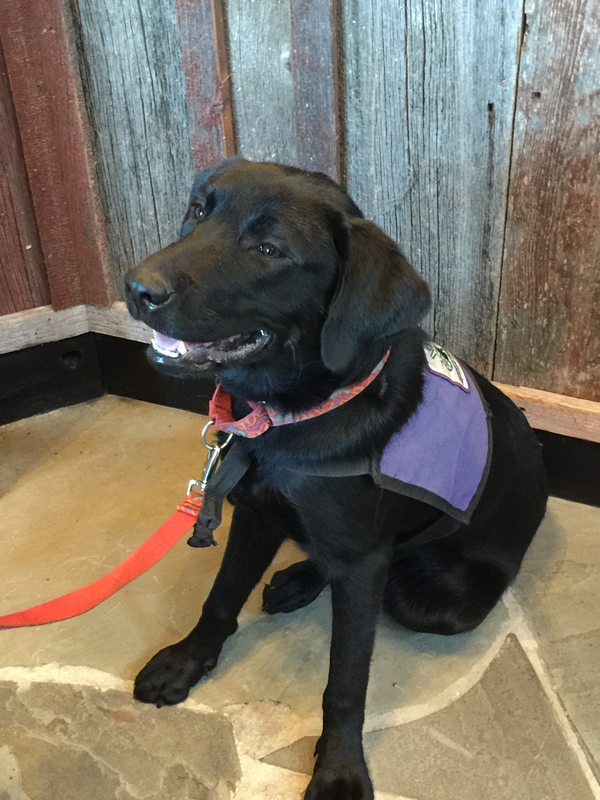 Can businesses charge fees for service dogs? No, a person with a service dog cannot be charged an extra fee just because they use a service dog. 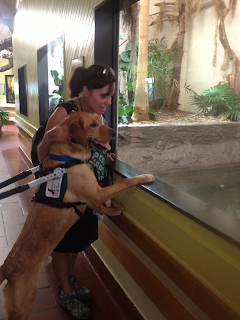 If a fee, such as an admission fee for a zoo, is required, the person with a service dog must be charged the same amount as other patrons without service animals. Since service dogs are not pets, businesses such as hotels and taxi services also cannot charge any pet fees or deny service because the dog will shed. Basically, the person cannot be charged extra fees because their service dog exists. 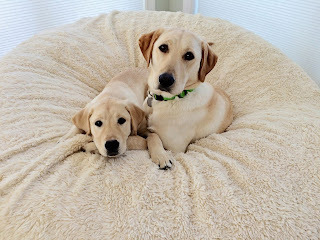 A person with a service dog may choose to carry a lint roller or bring a blanket to cover the bed (if the dog sleeps in bed with them) or the seat of a taxi or rental car. But they are not required to do this. However, if the service dog causes any damage, the person can be charged for it. The dog is the person’s responsibility. Who is responsible for a service dog? Like we just said, a service dog is the responsibility of their human partner. The staff at a business are not required to provide any sort of care for a service dog. Even if staff offer to bring your dog a bowl of water, they’re not required to and it may be best for the person to take care of getting their own dog’s water. And of course, no one but the service dog’s human partner should feed the dog. Where can you find the service dog laws? We highly recommend reading the Department of Justice’s document about the ADA’s revised requirements for service animals. If you have a service dog, you may want to even print it and carry it with you. Although you’re not required to do this by law, it can make things much easier if someone questions your right to enter a business with your service dog. *This post may contain mild spoilers for the movie Jurassic World. But we promise it’s nothing that will ruin the movie for you. The Internet has been full of movie clips and memes of Chris Pratt’s Jurassic World character Owen wrangling four velociraptors. If you haven’t seen any of the trailers, you can watch one here. The first 35 seconds show Owen interacting with the velociraptors. The cool thing that you don’t see in the trailers, though, is that Owen trained these dinosaurs using clicker training. That’s really exciting! Clicker training is a positive reinforcement method of training where a desired behavior is marked and rewarded. 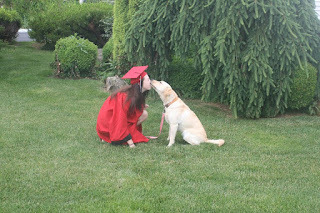 This type of training can play a role in the bond between an animal and the trainer, creating “a relationship based on respect” as Owen says in the movie. 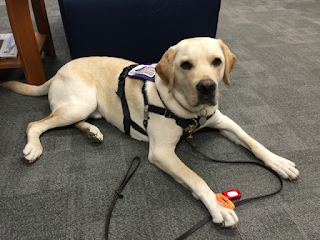 All of our service dogs are trained using clicker training. We start then when they’re very young. Our dogs go to puppy raisers when they’re eight weeks old, and our raisers start by clicking and treating the puppies just for making eye contact (“attention”). The pups learn that every time they hear the click, they get a yummy treat, so of course they want to repeat the behavior that caused the click. The wonderful thing about clicker training is that it’s a very clear form of communication. The click clearly marks a behavior, so the dog knows exactly when they’re doing the right thing. The treat then rewards them for it, so the dog is much more inclined to repeat the behavior and even build on it. Using this method, we can easily train a dog to do more complex behaviors, like turning on a light switch, picking up an item, or opening a door. 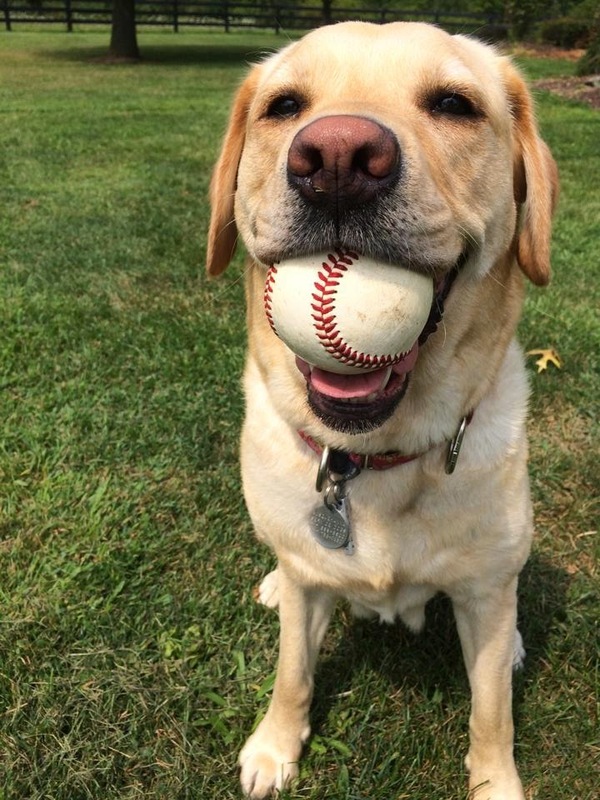 Because the dog is having fun and being rewarded, they often learn quickly. Plus, the dogs love it! After a while, when our puppy raisers don their clicker and treat pouch, the dogs come running! Watch the video of SSD Aunt Laura learning how to “heel.” Listen for the click. Revenda, her puppy raiser, clicks every time Laura moves her back legs into the correct position at Revenda’s side. Notice that with each click, Laura gets a treat. Since this video was taken, Laura has mastered “heel” (swinging into place on her handler’s left side) and “side” (swinging into place at her handler’s right side). You can tell from the video that Laura is enjoying herself. Her tail is wagging and she’s engaged with her raiser. Now, we know that the clicker training portrayed in Jurassic World is a far cry from what it should actually look like. But we understand that choices undoubtedly had to be made for cinematic effect. We’re still happy to see this positive training method get a few moments on the big screen. So we want to know. What behaviors have you taught your “velociraptor” using clicker training? Today, SSD Bridge, SSD Hank, and SSD Nitro are taking their public access tests with their new partners. The other five dogs who were in team training—SSD Beaker, SSD Brickle, SSD Cove, SSD Dexter, and SSD Nola—took their public access tests last week and are now busy working. The public access test is the evaluation that all of our service dog teams must pass in order to become official working service dog teams. 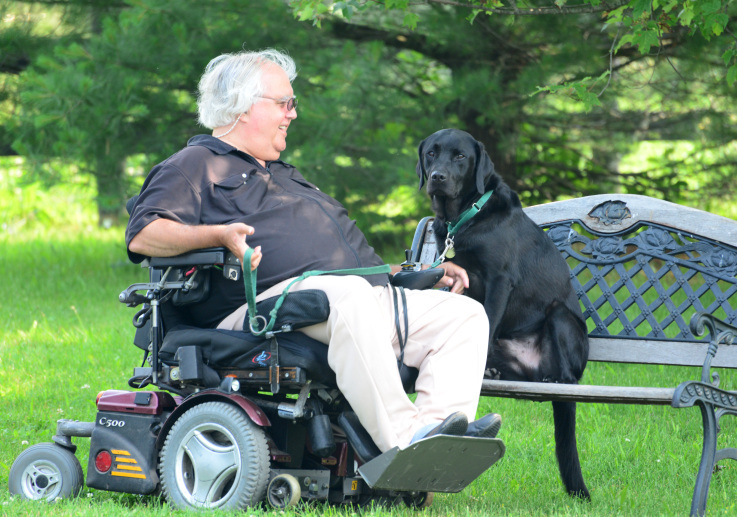 We use the public access test as a way to ensure the dogs are well-behaved in public and that each person has control of their dog—both important aspects of the ADA. We have no doubt that our remaining teams—Bridge, Hank, and Nitro—will do great on their public access test! These teams have spent the last two and a half weeks learning how to work together. They’ve practiced the basic cues that all of our service dogs know, such as “sit,” “down,” “stay,” “heel,” and “come.” The teams also worked on the individual tasks each dog was trained to perform. Under the ADA, a service dog must perform tasks related to their partner’s disability. For example, the dog could act as a counterbalance to support someone as they walk, retrieve dropped items, pull a manual wheelchair, or apply pressure to calm their partner’s anxiety. 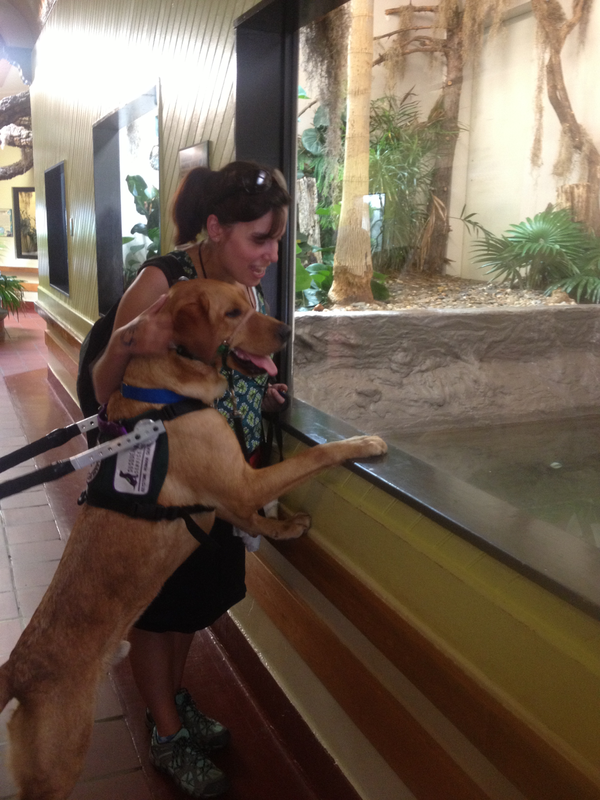 Each of our service dogs learned several tasks based on their partner’s needs and preferences. After our teams spent a week learning how to work together, we hit to road to practice in some real life situations. Every team training includes a fun field trip, and this time, we went to ZooAmerica. We planned the trip for the morning, so we could be there before the pavement got too hot for the dogs. It was still a hot day, so we made sure to stop for lots of water breaks. The zoo is a fun, but challenging trip, since there are lots of distractions for the dogs and the people. 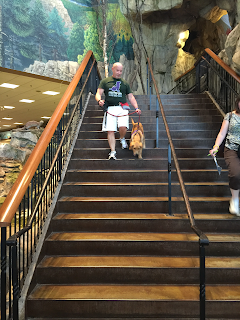 We walked through the exhibits, and Bridge, Hank, and Nitro worked on nice loose leash walking. As you can see from some of the photos, the dogs were allowed to notice the animals. After all, it’s difficult not to notice the animals, especially when most of the animals came right over to the edges of their enclosures to investigate the dogs. However, the dogs needed to still stay focused on their partners. Each person did a nice job making themselves more interesting than anything else in the environment! It was a good, fun real world experience! After today, Bridge, Hank, and Nitro will be working service dogs. We have already seen what a difference these three dogs, and Beaker, Brickle, Cove, Dexter, and Nola have made in their partners’ lives, and we know those bonds will only continue to grow. Guest post by Gwen Wenger. Gwen, her husband Keith, and her daughter Emma have been volunteering with SSD in many ways for the past three years. Emma is partnered with SSD Kindle. My husband, Keith, and I have a beautiful 12-year-old daughter, named Emma, with a very rare seizure syndrome from birth. Emma has multiple disabilities. She does not walk or speak. When she was 9, we decided that a service dog would be a wonderful way to help her in so many ways. 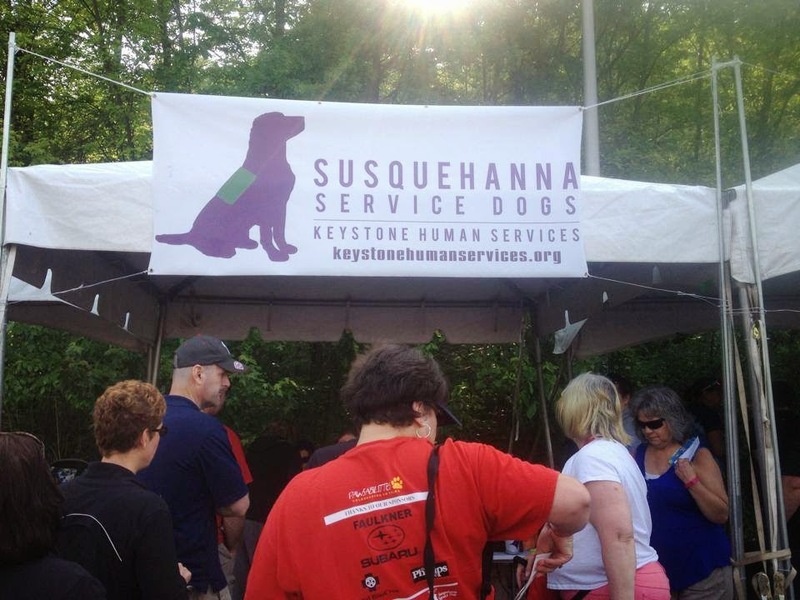 We put in an application with Susquehanna Service Dogs in the spring of 2012 and began an amazing journey with an organization we now call our second family. While we were waiting for the “meet the dogs” call that would mean Emma would hopefully meet her potential partner, we decided to volunteer with SSD. We started out as puppy huggers, which is just about the best job in the world. It was amazing to watch Emma interact with these little lab puppies. After hugging many litters, we decided we wanted to do more. SSD can always use sitters to give raisers a break. To be a sitter, we needed to attend clicker training and orientation. This was a perfect way not only to start practicing how to handle a service dog, but also to make sure that Emma liked dogs. We had so much fun at the training classes and visiting puppy classes that we couldn’t wait to be approved to start sitting. We had the chance to sit 15 different dogs in 8 months. It was during this time that we got the anticipated phone call that they wanted Emma to attend a “meet the dogs” session. Emma met two dogs that day in July 2013, and there was no doubt in anyone’s mind that SSD Kindle was the dog for our daughter. She immediately went to Emma and began licking her and interacting with her. Emma responded immediately to Kindle. The session ended with Kindle sitting beside Emma and Emma’s feet propped up on Kindle’s back. The amazing staff at SSD had told us the dog will pick the human as much as the human picks the dog. Boy, were they right! I still get goosebumps when I think about that moment when Kindle chose Emma to be her girl. We went through team training that fall, and Kindle came home with us. She and Emma have been a team now for a year and a half, and their bond only continues to grow. Kindle goes everywhere with Emma, including school. She is a companion, a comforter, a helper, and an amazing motivator. Emma will now walk long distances in her gait trainer to follow her dog up and down the hall. Before Kindle, Emma’s physical therapist was having trouble getting Emma to take more than a few steps. This is just one of many, many ways that Kindle has helped Emma to become more independent. Emma is a happier and more content little girl with her new 4-legged best friend. She is also, without a doubt, the most popular little girl at ELCO Intermediate School. After Emma and Kindle had the standard 6-month bonding period, we were able to start volunteering again with SSD. Last summer, we whelped a litter of newborn SSD pups. 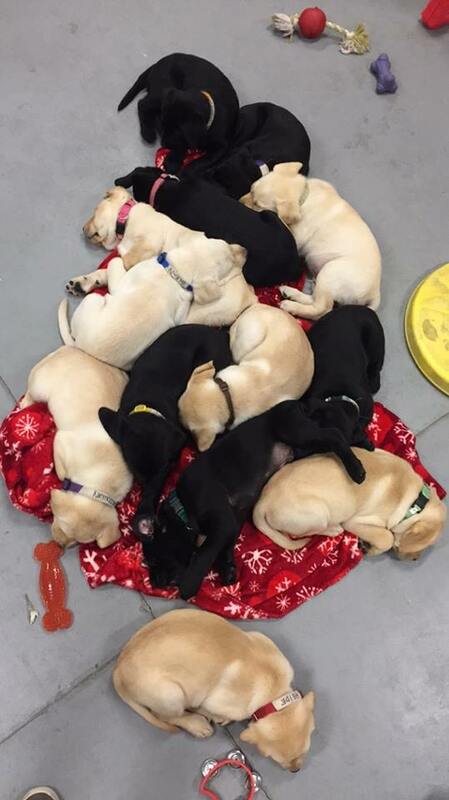 GEB Talent (from Guiding Eyes for the Blind) had her first litter in June 2014. She and her 7 pups lived with us all summer. Wow! What an amazing experience! We even got to name the litter. They were the “C” litter. So if you know SSD Clementine, SSD Charcoal, SSD Colorado, or SSD Cookie Dough, then you have met our grandpuppies! The other three were sent to other amazing service dog organizations in Florida and Canada. Currently, we are housing an SSD breeder dog, SSD Berlin, from the Country Capitals Litter. When she’s pregnant, she leaves us and comes back when her puppies are weaned. She and Kindle are like sisters, and she has been an amazing addition to our family. We have served on committees for SSD fundraisers, attended numerous events for SSD, and taken every opportunity we can in public to share our story and encourage support for this amazing, life-changing organization. We count our blessings every day and there is no doubt that Kindle and SSD are at the top of that list! Why do we walk in the Highmark Walk for a Healthy Community? We want to support and help raise money for the organization that has given us so much and allowed us to give back in return. We’ll see you Saturday, May 16! Want to join Gwen, Keith, Emma, and Kindle in the Highmark Walk for a Healthy Community? Sign up today!